Learn the basics of yoga, from breathing techniques to proper pose alignment. Great for all levels. If you are new to yoga, or maybe a little rusty, this class is for you! This class is for six weeks of Intro to Yoga only, for the dates and times specified. Please check dates and times carefully before signing up. One makeup class may be allowed with prior permission from the instructor. Abbie Hanson will be instructing this course. Spring Break Kids Yoga Camp! This is a fun 3 day Intro to Yoga for kids!! In the world we live in children need the opportunity to learn the skill of deep breathing, focus and having healthy bodies leads to healthy minds! 11-11:30pm 4-6 year olds - Learn yoga through storytelling by learning how to grow tall like a tree, flow like the river and shine like the sun! Noon-1pm 7-12 year olds - This class will teach kids the basics of yoga such as deep breathing, finding focus through balancing poses, strengthening and stretching their body and mind. As the cold winter draws us inside, we tend to find ourselves spending more time in front of our computer screens and phones. When we sit with the shoulders slumped forward and a rounded spine, this shape then causes the heart center to close, blocking emotions and creativity from flowing. This may result in an unwillingness to forgive and let things go. To counteract these effects, join Ashton as she guides you though a flowing yoga series using breathwork and specific asanas (yoga poses) focusing on the heart and upper back, then ending with a guided meditation. This practice will help to expand your chest and ribcage making them more receptive, free, and help to relieve pain in the shoulders and upper back. Davin Youngs is a Chicago based singer, teacher and sound guide, leading individuals and groups into elevated sonic experiences. He uses improvised singing and intentional sound in performance, workshops and private sessions to hold space for change. 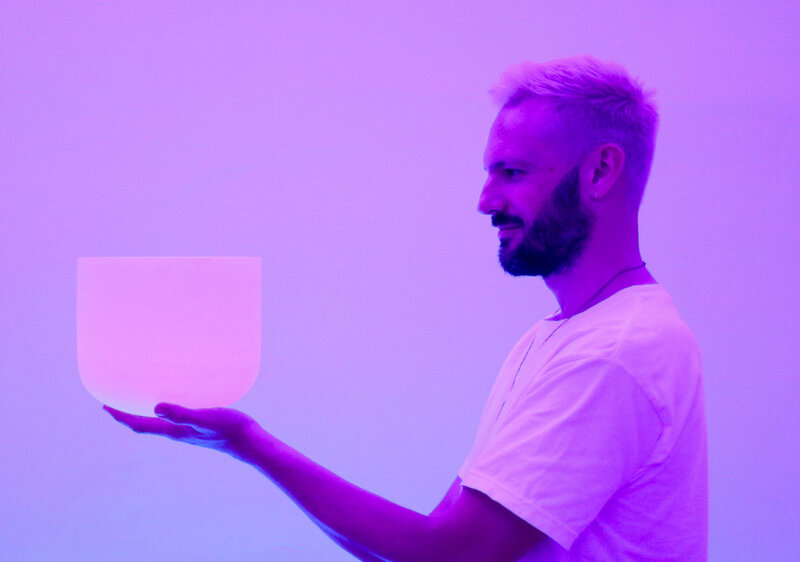 His performed sound experiences take participants on a mindful journey, incorporating the voice, traditional healing instruments, looping and electronic beats, none of which are ever the same. He has brought improvised singing and sound experiences to companies and organizations like Coca-Cola, Google and Chicago Public Schools and has worked in the private voice studio with prominent artists hip-hop, punk and gospel. Davin is also a Reiki level 2 practitioner and the music director at Grace Chicago Church. I’m excited to offer an Alignment Lab workshop focusing on the Surya Namaskar, or Sun Salutation. The sun salutation is the foundation of any Vinyasa Yoga class. When done mindfully, it can strengthen and stretch the body in preparation for more demanding postures to come. We’ll examine proper alignment and possible modifications for the poses of Surya Namaskar A and B, including that pesky Chaturanga Dandasana, as well as looking at how to safely and smoothly transition between poses. Using creative and mindful movement, you’ll learn how to refine or modify them to work best for your body. Come prepared to learn and ask me ANY of your burning yoga questions. These classes are great for those newer to yoga as well as those with some experience under their belts who want to take a closer look at their practice. 2-4 p.m., $20 per person. About 14 years ago I was a full-time working mom with a career, husband, three stepdaughters and infant twin boys. As is the case with most new mothers, I was stressed-out and sleep-deprived. My first yoga experience involved a DVD player and a mat in my basement, super early in the morning so I could get it done before the babies woke for the day. 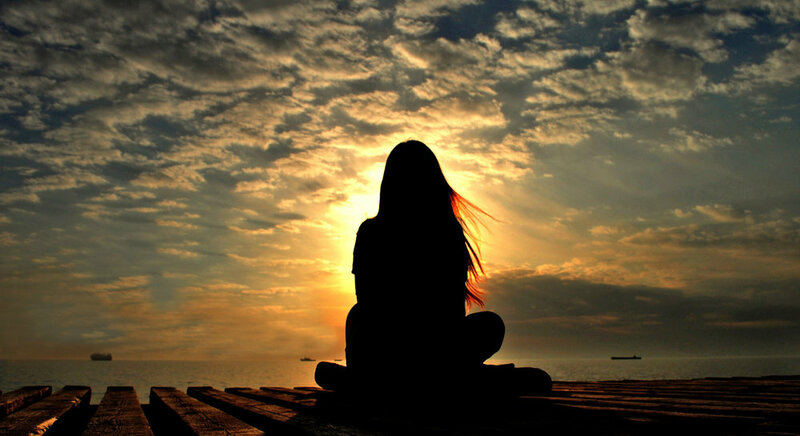 That first class brought me an amazing sense of peace and focus, and I knew I had found something special. In 2010, my partner Betsy Young and I founded Flow Yoga in Plainwell, which grew from a dream into a vibrant community of yogis which continues to this day as Riverbend Yoga. After almost 10 years of teaching and study, I am a slightly less-stressed-out mother of high-schoolers, and I love to help others find that sense of balance that comes from a consistent yoga practice. I love to find a connection with my students and make yoga accessible and fun for all ages and ability levels. No judgement, no expectations and no competition. Yoga is not a game you have to win. It should feel good, not an added stress or obligation. I want to help you find that sweet spot where yoga is a complement to your already-full life. I teach classes with movement, breath work, fun flows and poses that encourage us to tap into our inner strength, be more mindful, connect to our bodies and love and care for ourselves, not just physically, but in all aspects of our lives. I now live in Portland, OR with my husband Aaron, twin boys, and our dog Dusty. I love being outdoors and in addition to yoga, consider hiking, cycling, SUP and kayaking to be forms of moving meditation. I am a registered yoga teacher E-RYT200 with the Yoga Alliance and have my 200hr certification through Yogafit, as well as a Lazy Dog Paddle Yoga Certification. Come have fun learning the art of belly dancing while burning calories, gaining flexibility and muscle tone! Join Ashton as she guides you though a flowing yoga series, blending breath work and the graceful form and techniques of belly dance. River Bend Yoga joins Plainwell Kayak Company to bring you a night connecting with yourself and nature. We will be meeting for a brief yoga session by the river's edge before we cruise for an hour long track down the Kalamazoo River. This will be a great adventure to be enjoyed solo or with some friends. Price includes single kayak and equipment. Wear comfortable clothes, suggested water shoes,and possible change of clothes. No prior kayak or yoga experience necessary. Join yoga teacher Abbie Hanson and singer/ songwriter Roger Jaeger for a night of yoga and live music. Roger Jaeger is on tour all the way from Nashville. This night will be a blend of a yoga class accompanied by a sitar followed by an acoustic set of his latest songs. Roger has been playing music all over the world and we are so honored to have him for this special night in a unique blend of music and movement. Join River Bend Yoga Instructor Abbie Hanson for an 'easy like Sunday morning' yoga practice. We will meet on south beach in front of the kids playground. Please bring a mat, sunscreen and water. This class is by donation. No experience necessary. Join Yoga Teacher Abbie Hanson and Singer Davin Youngs in this unique experience of movement and rest with the assistance of spontaneously created live music. What exactly is a sound journey? Think of it like live soundtrack to assist your yoga experience, creating tones and rhythms that aid in movement and restoration. One of our most ancient medicines, music and vibration have the ability to alter our interior landscape as well as reflect the beauty and mystery of the universe. 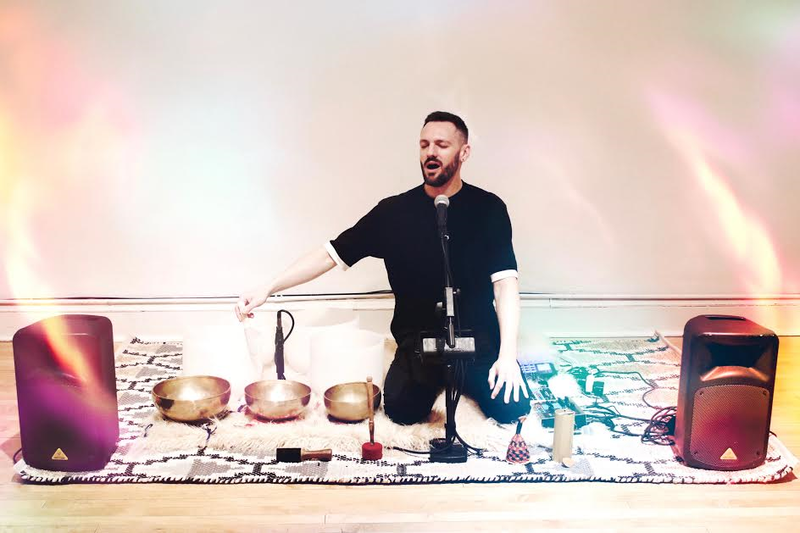 Coupling these ancient traditions with modern technology, Davin will use his voice and crystal bowls to improvise music and sounds that will guide participants on a journey of joy and healing. You will leave refreshed and renewed. This class is open to all levels. Mats provided. Extended savasana and meditation. Psalm 46:10 says "Be Still and Know that I am God"
Join me in this Yoga Faith class as we meditate on this scripture. This class will be a mix of movement, mediation, prayer and journaling. No yoga experience required. Donations will go toward a local charity. Matthew 22: 37 "Love the Lord your GOD with all your heart and with all your mind and all your soul"
Learn how to combine your faith with the physical practice of yoga, we call it YogaFaith, We’ll explore the postures of prayer in the bible and discuss their relationship to yoga postures. You’ll leave changed as you learn to use your entire body for worship. We’ll practice yoga and do some bible study. No yoga experience necessary. Bring: your bible and a notebook, comfortable clothes to practice yoga, an open mind and heart. Mats provided. Abbie Hanson is facilitating the class and is a certified Yoga Faith Instructor. Take a night to pause during this busy summer season. 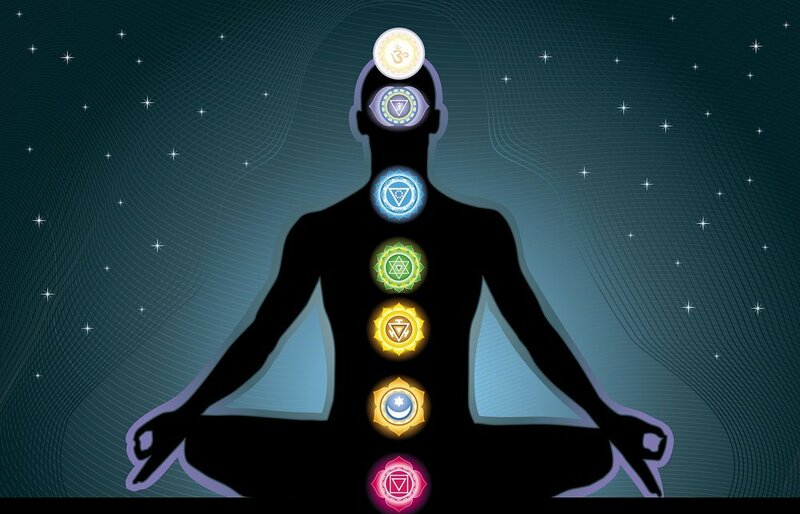 Join Ashton as she takes you on a body, mind, spirit restorative 2hr class. Long holds, supportive poses, calming the nervous system and dropping into the silence where all is complete and all is well! You are invited to join the amazing community at Riverbend Yoga on November 19th from 2-4pm to move through yoga asana and soak in the amazing privilege of Being....Being in this human form, Being with one another, Being with the mysteries of our aches and pains, our fumbles and follies, and our Joys. In this 2 hour workshop, we will be still and move and sweat and breathe and deeply relax. You are invited to bring a photo of a loved one who has passed, a photo or symbol of someone or something that brings you Joy, and your perfectly imperfect self.